| Flickerfest on route to Perth, Mackay, Nambour and Maryborough! Flickerfest on route to Perth, Mackay, Nambour and Maryborough! FLiCKERFEST IS HEADING NORTH AND WEST! The Flickerfest Tour to Crescent Head, Kempsey, Brisbane, South West Rocks, Toowoomba and Noosa last weekend saw some very happy crowds gathering to soak up some amazing short films from around Australia and across the globe! This weekend we head to Perth for four amazing nights featuring some incredible award winning films! 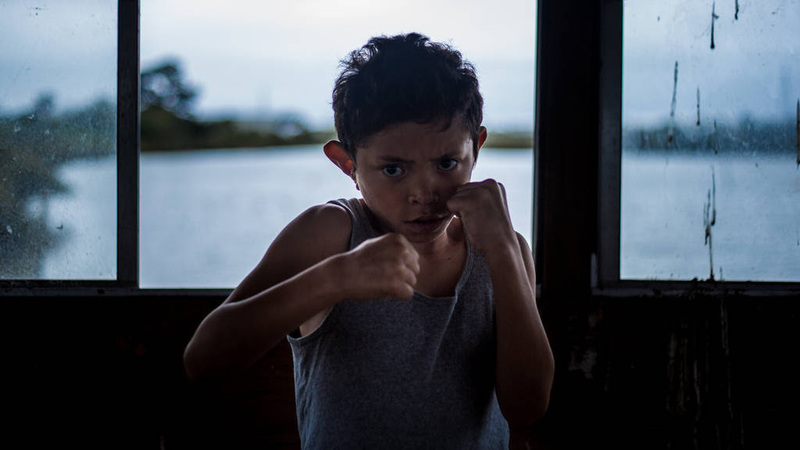 Let’s See How Fast This Baby Will Go, produced by Perth producer Eva Di Blasio will screen on Thursday the 1st of March as part of our Best of Australian Shorts programme. Also screening is the incredible Aboriginal Western Miro starring WAAPA graduate Mark Coles Smith. On Friday the 2nd of March, the Best of EU shorts programme will also include the charming documentary Deighties (dating in your eighties!) by Perth director Mason Fleming. In our Best of International Shorts programme on Saturday the 3rd we will be featuring the stunning short Blight from director Perun Bonser and produced by Ryan Hodgson and Melissa Kelly (Hounds Of Love). The charming Mrs McCutcheon from Perth director John Sheedy and co-written by Hounds Of Love Writer/Director Ben Young will screen as part of our Short Laughs Comedy programme on Sunday the 4th of March. Also included in this program is the hilarious Your Call Is Important To Us starring funny-man Andy Lee (Hamish & Andy) and Written and Directed by WAAPA graduate TJ Power (Offspring). There is guaranteed to be something for everyone in our amazingly diverse, inspiring, heart warming, gripping and provocative short films screening at the Camelot Outdoor Cinema in Perth this weekend! This week we are also stopping off at Mackay, Nambour and Maryborough. We are bound to be coming soon to a town near you, check out our tour page for more details!! See you sometime soon in a town near you! 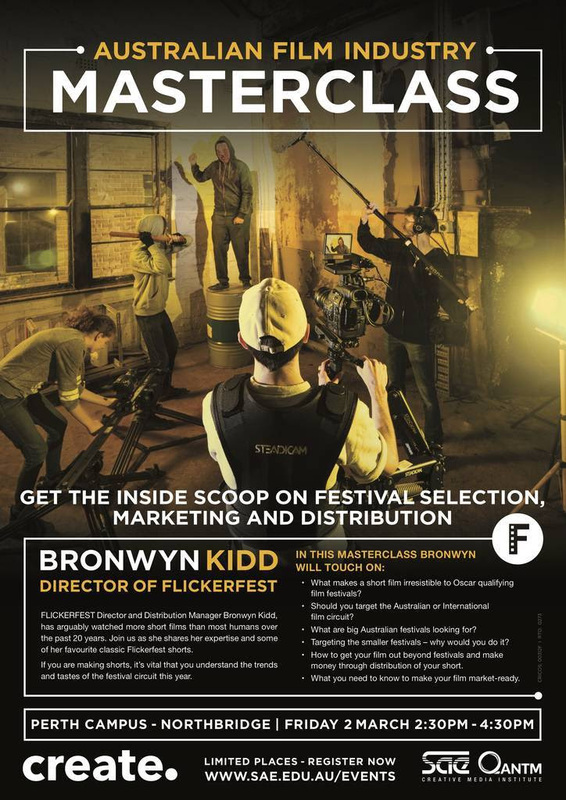 FILMMAKING MASTERCLASS WITH FLICKERFEST DIRECTOR BRONWYN KIDD IN PERTH !! Get the inside scoop on Festival Selection, Marketing and Distribution with Flickerfest Festival Director Bronwyn Kidd at SAE Perth this Friday! Bronwyn has arguably watched more short films than most humans over the past 20 years. Join in as she shares her expertise and some of her favourite classic Flickerfest shorts. If you are making shorts, it’s vital that you understand the trends and tastes of the festival circuit. Come and learn how to make your short film Festival and market ready!